Larry Smarr is defining the future of healthcare. As he, a world-renowned computer scientist and Michael Kurisu, the much-in-demand osteopathic physician at UC San Diego demonstrate, the balance of power between patients and doctors will change as technology gives patients the tools to know more about their own bodies. And the more informed they become, the more likely they will work with their doctors to develop treatment and prevention plans that are appropriate for them. Using Smarr as a case study, this patient and doctor show the benefits of hands-on, systems-based thinking in treating sciatica and self-diagnosing Crohn’s disease. Kurisu then takes these concepts to Project Apollo, a group of highly educated and motivated patients who call themselves “Little Larry’s” as they use the same techniques to address and treat their own health problems. All of this pointing to what theologian and physician Albert Schweitzer envisioned in the last century, “the doctor of the future will be one self.” Smarr and Kurisu are showing us how. 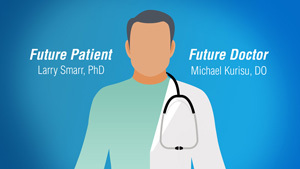 Watch Future Patient/Future Doctor – Larry Smarr, PhD & Michael Kurisu, DO . Happiness, Health and…Video Games? You Bet! Our presentations from the outstanding “The Atlantic Meets the Pacific” forum continue into the New Year, but first we’re wrapping up 2012 with a bevy of exciting ideas and discussions that came out of the event held at UC San Diego in October. 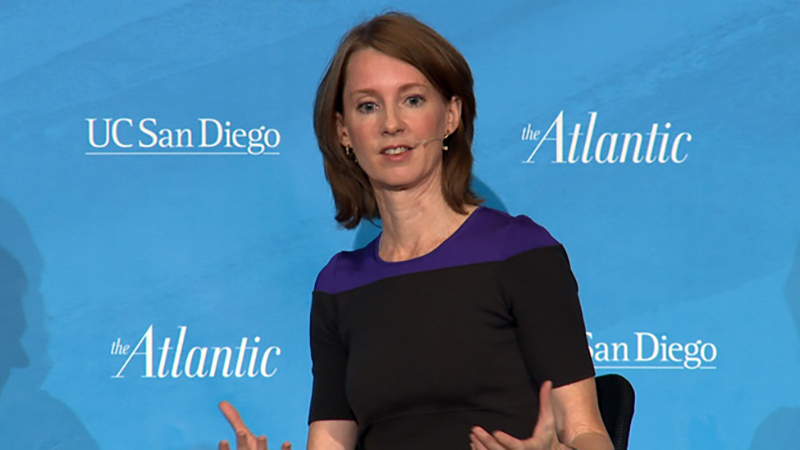 “The Happiness Project” author Gretchen Rubin at The Atlantic Meets the Pacific, now on UCTV. What better to way to complete the year than with a look at the science and philosophy of happiness with none other than Gretchen Rubin, author of the bestseller “The Happiness Project.” Rubin chats with James Fallows, National Correspondent for The Atlantic, about finding contentment in everyday life. Then there’s “Games for Change: Solving the World’s Biggest Problems Through Alternate Realities with Jane McGonigal,” in which the world-renowned designer of alternate reality games and author of the best-selling “Reality is Broken” makes the case to Calit2’s Larry Smarr that children’s brains benefit from playing video games. Smarr makes another appearance, this time as the interviewee, when he talks to author Mark Bowden, screenwriter of the new film “Zero Dark Thirty” and author of a recent piece in “The Atlantic” about Smarr. In “The Human Laboratory: One Researcher’s Quest to Personalize Medicine,” Bowden talks with Smarr about his determination to understand everything about his own body, and how that kind of knowledge will become standard in the future of healthcare. There’s even more titillating talk from this annual event at our The Atlantic Meets the Pacific website, so check it out!